The boy died at Leicester Royal Infirmary in the city of Leicester in November 2015 after being taken to the hospital for vomiting and diarrhoea. The boy had a weakened immune system and was more vulnerable to infections due to his condition. London: Parents of a three-year-old Indian-origin boy, who died in a UK hospital a few years ago, told an inquest into his death today that they feel "really let down" by the medical staff that was treating their son. 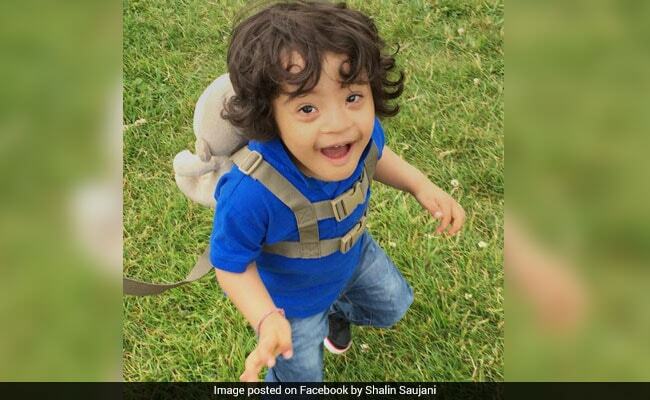 His mother, 33-year-old Bhavini Saujani, told an inquest at Leicester Coroners Court that she felt the hospital staff ignored her and husband Shalin Saujani's growing concerns over their son's condition, who suffered from Down's Syndrome. "I just felt that we weren't being listened to when we were raising concerns about his low oxygen saturation levels. We were being told that the machines weren't picking it up, it was explained away as a machine error," she told the hearing. The mother recounted her son's final moments when she shouted for help as his heart stopped and doctors were unable to resuscitate him, Leicester Mercury reports. "Someone needs to take accountability and responsibility for what's happened," she said. The boy's father also gave evidence to the inquest, which concluded today. "(He) was my best mate, I called him my little buddy. We planned to do so much together," the 35-year-old said. Their son had a weakened immune system and was more vulnerable to infections due to his condition. Earlier in the week, the inquest was told the boy should have been moved to intensive care earlier and the head of paediatric services at the hospital in Leicester, doctor Samantha Jones, apologised for his death. "(He) should have moved through the departments within the hour and preferably sooner if possible. I just want to say we are as a department terribly, terribly sorry," she said. Other doctors who treated the boy at the children's intensive care unit of the hospital Manish Arora and Nehal Thanawala also gave their evidence to the inquest hearing. While Mr Arora told the court that he did not think the boy was critically ill, Ms Thanawala said she had been "very concerned" about him. Expert witness Simon Nadel from St. Marys Hospital in London said the original diagnosis of vomiting caused by viral gastroenteritis "clearly in retrospect was not correct". "There was a failure of communication between the clinical teams looking after the boy, leading to a lack of ongoing medical involvement," he said. At the end of the inquest, Coroner Lydia Brown ruled that the boy's death was caused by "natural causes". However, the family may consider legal action over medical negligence.